Resorts World Catskills is seeking motivated candidates to join its team of table game dealers at its new luxury casino resort, offering applicants a unique opportunity to work at a destination that draws visitors from across the globe. Information sessions will be held on the following days to provide additional details on how to become a dealer at Resorts World Catskills. If selected and hired, full-time table game dealers could earn up to $40,000 a year, including competitive benefits, such as health insurance, a 401(k) match, subsidized meals, life insurance and free onsite parking. The position offers substantial growth opportunities at New York’s largest integrated casino resort. Opportunities are available for both experienced and inexperienced dealers. While no experience is required to train to be a table game dealer, experienced dealers can visit the Resorts World Catskills Dealer School located at Rt. 42, Thompson Square, Monticello, N.Y., from Tuesday through Friday, from 11 AM to 5 PM, for auditions, and will be considered for job offers on the spot. Training at Resorts World Catskills’ dealer school is the first step to becoming a table game dealer, and no experience is needed to apply. Interested individuals are encouraged to either register online at https://rwcatskills.com/careers/ or in-person for an opportunity to be trained free of charge at the dealer school operating in Monticello, NY. Registrants for the dealer school will each be provided with 20 hours of training per week for a minimum of six weeks for core games such as blackjack, poker, baccarat and roulette. Additional training will be required for more complex games. Candidates are encouraged to become adept at two or more core games. Once training is successfully completed, students can interview and audition for table game dealer positions. 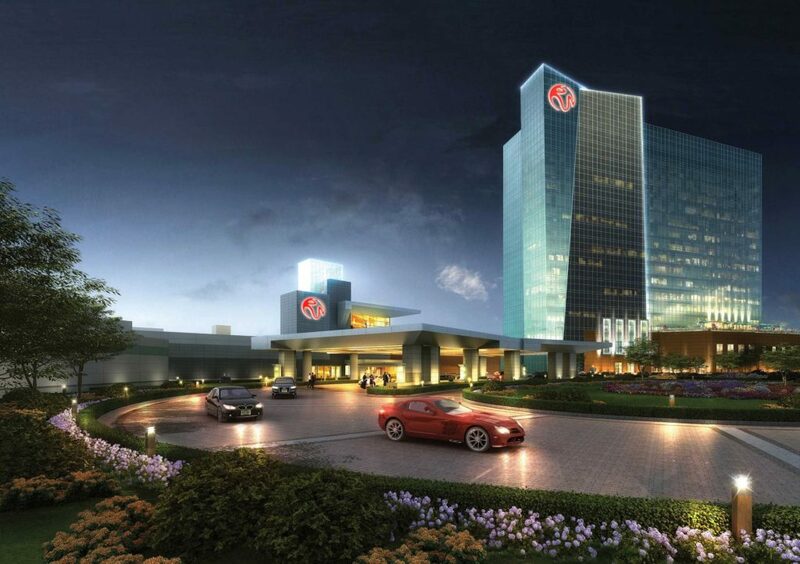 With more than 100,000 square feet of Las Vegas style gaming, Resorts World Catskills features the Catskill region’s most extensive luxury gaming experiences. In addition to its new 24-hour poker room which features 19 tables, the casino resort will feature five gaming areas with more than 150 live table gaming opportunities upon completion, including Blackjack, Craps, Baccarat, Roulette, and Pai Gow Tiles; more than 2,150 of the most cutting-edge slot machines; and a high limit slot room. Resorts World Catskills also offers the exclusive Palace high limit gaming area for top-tier players and six luxurious gaming salons with private decks adjacent to the lush pool area with palace suites and villas, offering players the very best in resort gaming. To learn more, please visit https://rwcatskills.com/careers. Located in the heart of New York’s Catskill region, Resorts World Catskills offers guests unmatched experiences in excitement, entertainment, and luxury. The integrated casino resort includes an 18-story all-suite hotel and a casino and entertainment complex featuring 100,000 square feet of gaming action including 150 live Las-Vegas style table games, 2,150 state-of-the art slot machines, a poker room and private gaming salons. The casino resort destination also offers more than 10 varied bar and restaurant experiences, which includes an Italian steakhouse created by celebrity chef Scott Conant that will be introduced in spring 2018, and year-round live entertainment at the 2,500-seat Epicenter, casino bars and lounges. Upon completion, the hotel will feature 332 luxury suites, including premium accommodations consisting of palace and penthouse suites and two story villas. Additional hotel amenities include the Crystal Life Spa, two indoor pools, and two fitness centers. The destination resort in which Resorts World Catskills is located will also include an entertainment village providing additional entertainment, food and accommodations. In early 2019, a Rees Jones-redesigned golf course and The Kartrite Hotel and Indoor Waterpark will also be added to this destination resort. If you or someone you know needs help, help is available. Call 1-877-8-HOPENY or Text HOPENY (46769). This entry was posted in demo, Marketing, News. Bookmark the permalink.